Oak Brook, Ill. (June 29, 2018) – Inland Real Estate Acquisitions, LLC announced today that it negotiated and closed the purchase of the Banner Health Medical Office Building, located in Phoenix, Arizona. Sharon Anderson-Cox, senior vice president of Inland Real Estate Acquisitions, LLC, (“Inland”), completed the deal, with assistance from David Neboyskey, vice president and associate counsel of The Inland Real Estate Group, LLC, Law Department, on behalf of an Inland affiliate. The newly built, state-of-the-art property is located at 4375 East Irma Lane in Phoenix, near the corner of Tatum Boulevard and the Loop 101. 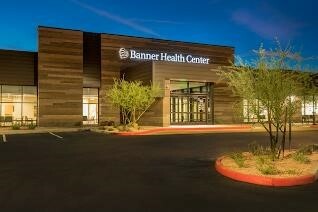 It includes 29,350 square feet of Class-A medical office space with 30 exam rooms that is 100 percent leased to Banner Health, the largest private employer in Arizona. The new Banner Health location provides medical care to approximately 204,540 residents within a five-mile radius. 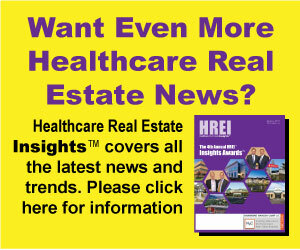 To date, Inland Real Estate Acquisitions, LLC has facilitated more than $45 billion of purchases including retail centers, apartments, single-tenant properties and a total of more than $323 million in medical office buildings. Inland Real Estate Acquisitions, LLC assists in identifying potential acquisition opportunities, negotiates acquisition-related contracts and acquires real estate assets for the various entities that are a part of The Inland Real Estate Group of Companies, Inc., one of the nation’s largest commercial real estate and finance groups, which is comprised of independent legal entities, some of which may be affiliates, share some common ownership or have been sponsored and managed by such entities or subsidiaries thereof (collectively, “Inland”). For additional information, please refer to Inland’s website at www.inlandgroup.com.